Last night I had the greatest dream. In my dream, my husband and I were in Vegas gambling. Not for the shows, not for the hotels, the night life. We were there for the gambling. 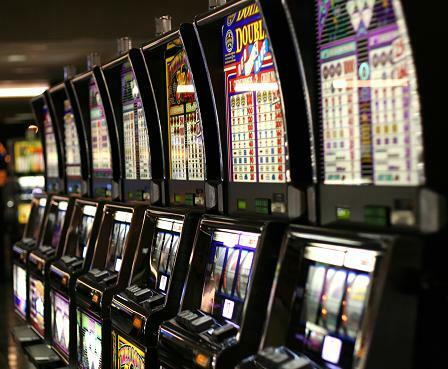 Side note – while I love the thrill of gambling, it freaks me out because you can lose money in the blink of an eye. I hate parting with my money that quickly unless it involves receiving a nice Apple product or handbag in return. So I’ve never had much of an interest in going to Vegas. I know. I’m missing out, there is so much to see, but once there I would have such hard time resisting the pull of the quarter slot machines. There’s some sort of magnetic force that draws me in. So I stay away. Back to my dream – apparently I was a high roller because I was playing a dollar slot machine! Not just the quarters or penny slots – dollar bills! What can I say, high roller. After several pulls, I was still even. While holding a department store paper shopping bag, I pulled one last time on the slot machine. Jackpot! One Million Dollars! As I walk away with my cool mill neatly wadded into my paper shopping bag, my first thought is I have to go buy a new Louis Vuitton handbag to keep my money in. If you’re going to handle that much cash it should ride in a nicely made, over priced leather handbag. I quickly turn my head and notice an Apple store in the distance. I can’t help but begin a to buy list – new Macbook, new iPad, wait scratch that. I should wait until the new iPad 3 comes out. Can you believe my self-control? I mean the sky is the limit in dreams, right? And I have a million dollars in cash burning a hole in paper shopping bag and I’m showing restraint. Wow. I do need a new pair of shoes, though. What’s a pair of shoes when you have a million dollars to spend? Oh, and we totally need new landscaping. And that’s when it happened. I dreamt of Dave. What would Dave Ramsey say? I should really use the money to pay our house off, then we would be debt free. And didn’t he mention something about investing in mutual funds and giving to others? What about taxes? Shouldn’t I put aside some of this money for taxes? But I still need a Louis Vuitton bag to carry this cash. That’s when I woke up. Heart racing. I had a hard time going back to sleep. Get out of my dreams Dave Ramsey. You can have my real life, but I really want the Louis bag and the Macbook in my dreams. This entry was posted in Life Lesson, Things to buy and tagged Dave Ramsey, Gambling, Louis Vuitton, Slot Machines, Vegas. Bookmark the permalink.